The name of Yuri Bashmet has long been a synonym for musical depth, virtuosity and aesthetic prowess. His artistic feats over the year are too great to be numbered, but one of his greatest accomplishments deserves particular attention: Yuri Bashmet has transformed the previously modest viola into a brilliant solo instrument in its own right. He has played the viola in every work devoted to the instrument, and gone even further. His playing has broadened the field of possibilities for contemporary composers: a profusion of works, including fifty concertos for viola, have been especially composed for him or dedicated to him. Bashmet was the first viola player in the world to perform a recital at Carnegie Hall, New York; the Concertgebouw, Amsterdam; the Barbican Centre, London; both the Philharmonie and the Konzerthaus, Berlin; La Scala, Milan: the Théâtre des Champs-Élysées, Paris; Hercules Hall, Munich; Boston Symphony Hall, the Suntory Hall, Tokyo; Symphony Centre, Chicago; the Calouste Galbenkian Foundation, Lisbon; and the Grand Hall of the Moscow Conservatory. Bashmet has played with many internationally renowned conductors, such as Rafael Kubelík, Mstislav Rostropovitch, Seiji Ozawa, Valeri Guerguiev, Guennadi Rojdestvenski, Colin Davis, John Gardiner, Yehudi Menuhin, Charles Dutoit, Neville Marriner, Paul Sacher, Thomas Boaz Allen, Kurt Masur, Bernard Haitink, Kent Nagano, Simon Rattle, Yuri Temirkanov and Nikolaus Harnoncourt. Bashmet began his musical career as a conductor in 1985, but in his new musical role has remained true to himself, confirming his reputation as an artist who is audacious, trenchant and resolutely modern. He has conducted the world’s finest symphonic orchestras, including the Berliner Philharmoniker, the New York Philharmonic, the Вауrischen Rundfunk, the San Francisco Symphony, the Chicago Symphony, the Boston Symphony Orchestra, the Wiener Philharmoniker and the Orchestre Philharmonique de Radio-France. Bashmet founded the International Viola Competition in Moscow, a competition that remains, to this day, the only one devoted to this instrument in Russia. This renowned viola player constantly makes international headlines in the realm of music, and his talent has been rewarded on countless occasions in both Russia and the rest of the world. Since 1983, when he was awarded the title of Artist Emeritus of the RSFSR, Bashmet has garnered titles and awards: winner of the State Prize of the USSR in 1986, People’s Artist of the USSR in 1991, and he also won the State Prize of the Russian Federation in 1994, 1996 and 2001, and in 1993 was named instrumentalist of the year (the equivalent of an Oscar in the world of music). He is an honorary member of the Royal Academy of Music in London. In 1995, he was awarded one of the most prestigious prizes in the world, the Léonie Sonning Music Prize. In 1999, the French state appointed him Officier des Arts et des Lettres, and in 2003, he became a Commandeur de la Légion d’Honneur. He is holds the most prestigious honour of the Republic of Lithuania, and in 2000, the President of Italy awarded him the Order of Merit of the Italian Republic. In 2002, the President of the Russia Federation gave him the Order for Merit to the Fatherland, third class. In 2013, Maestro Bashmet received the Order for Merit to the Fatherland, fourth class. 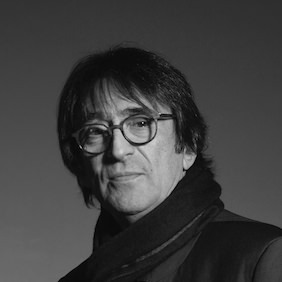 Yuri Bashmet is the artistic director of no fewer than fifteen music festivals in eight countries. In 2012, he founded his own symphonic orchestra in Russia. It performs worldwide to resounding success. Since 1978, he has been teaching at the Moscow Conservatory, initially as a lecturer, before being appointed professor and dean of the faculty.